Peak Everything! We're Doomed. This Time for Sure. Malthus was dead-wrong, of course. In fact, in chapter two of his essay he projected that by 1900 (one hundred years into the future), the population of England would be 100 million people but the means of subsistence would be “only equal to the support of 35 million”. Obviously, Malthus did not understand that man’s ingenuity and propensity to invent would prevent the mass starvation he had so assuredly predicted. 1) Peak sustainable population: Malthus thought it impossible for England to sustain a population of more than 35 million. The population of the UK is now more than 60 million. 3) Peak cooling: After the threat of peak warmth, the public press paid no attention to the fact that government-funded climate scientists did a 180 degree reversal on their views of global temperature trends. In the 1980’s, they started to claim that unless western society greatly reduced its per-capita energy usage, atmospheric temperatures would rise uncontrollably causing famines and the mass migrations of populations. A study even when so far as to link the threat of global warming to the shrinking size of polar bear genitalia. 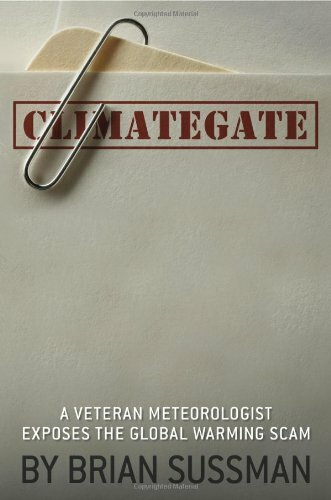 However, we now know, thanks to the works of journalists like Donna Laframboise, that politics has driven climate science and not the other way around (ref: The Delinquent Teenager Who Was Mistaken for the World’s Top Climate Expert). We also know that the earth is presently exiting the Little Ice Age and that, upon closer analysis, Al Gore’s famous charts actually indicated that carbon dioxide has followed global temperatures rather than the reverse. Global warming (a.k.a. climate change a.k.a. climate disruption) is the most successful Malthusian charade to date. 4) Peak trees: In 1996 the Sierra Club predicted that “Boreal forests [in Canada] will disappear”. However, almost ten years later the Government of Canada stated, “…we can conclude that the total area of boreal forest in Canada is neither shrinking nor expanding significantly” (page 40). 5) Peak oil: Ever since M. King Hubbert proposed the idea of peak oil in 1956, scientists have been predicting the end of the oil economy. 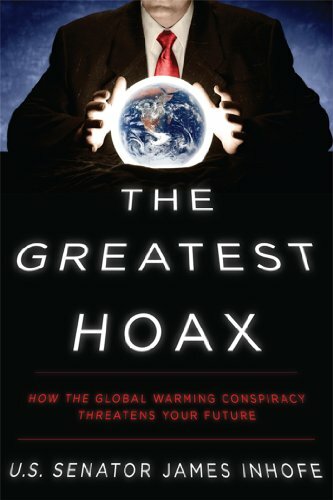 However, Hubbert didn’t count on mankind’s industrial ingenuity and the fact that the The Greatest Hoax: How... Senator James Inhofe Best Price: $5.49 Buy New $8.00 (as of 08:35 EDT - Details) amount of proven oil reserves would keep expanding in future decades rather than contracting. As Dr. Robert P. Murphy pointed-out in his Mises Academy course “Adventures in Energy Economics”, proven oil reserves increased from 51 billion barrels in 1944 to 1,266 billion barrels in 2003. He further highlighted the fact that “At year-2000 consumption rates, the world has many thousands of years of crude oil and crude oil substitutes remaining. These figures do not even take into account other carbon-based fuels such as coal and natural gas.” Peak oil? Hardly. 6) Peak water: Modern day Malthusians warn that the globe is running out of water for drinking and agriculture. Like peak oil, the creativity that can be brought to bear on the problem is largely ignored by the peakers. Consider that 80% of the globe’s surface is covered by salt water. Some countries already use the process of industrial-scale osmosis to produce potable water from salt water for large populations. Is it not reasonable to expect that, driven by the profit motive in an environment of competition, business will bring down the costs of processing salt water thus making potable water available to more and more places at better prices? 7) Peak species: Another hot, modern-day Malthusian scare is “biodiversity collapse” which is the extinction of species on the planet. This threat is particularly rich in that the predictions rest solely on the results of computer models. (Scientists do not actually count the number of critters on the planet – a rather arduous task to say the least.) After the “epic” failure of climate modeling, it is rather difficult to take species modeling very seriously. If we pay heed to the state-financed scientists who have been found to twist their science to support the political ambitions of their Malthusian pay masters, then we must agree that mankind is doomed in so many ways that the only way out is to reduce our population, our energy consumption and our standards of living. However, the history of the past two hundred years has proven Malthus and his followers to be dead wrong. Man’s ingenuity combined with a free market consisting of competition, price signals and the motivation of profit will ensure that the peakers remain on the wrong side of history. Roger Toutant has practiced electrical engineering in private industry for more than 20 years and is working in Ontario. He can be reached at laurier.was.right@gmail.com. Is an Energy War Looming?